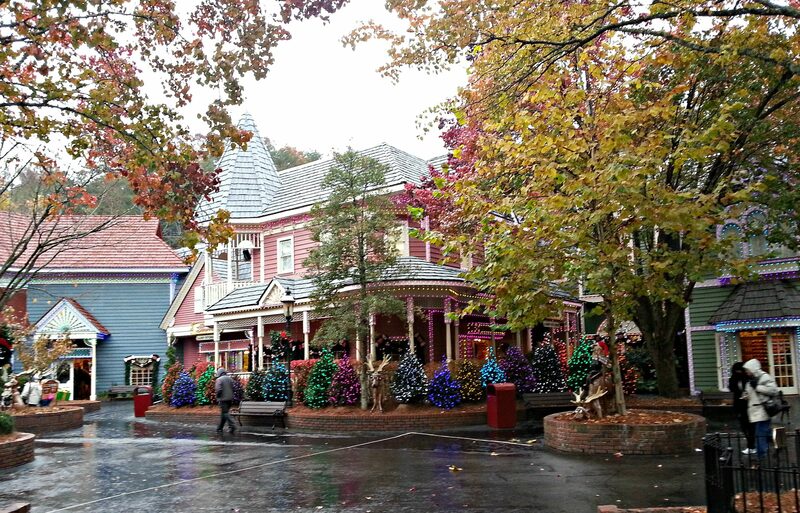 It’s Christmas at Dollywood and it is like stepping into a fantasy. My husband and I recently enjoyed a trip to Pigeon Forge, Tennessee. We were provided with 2 complimentary passes to enjoy a day at Dollywood however the opinions here are our own. Let me just be 100% honest with you. 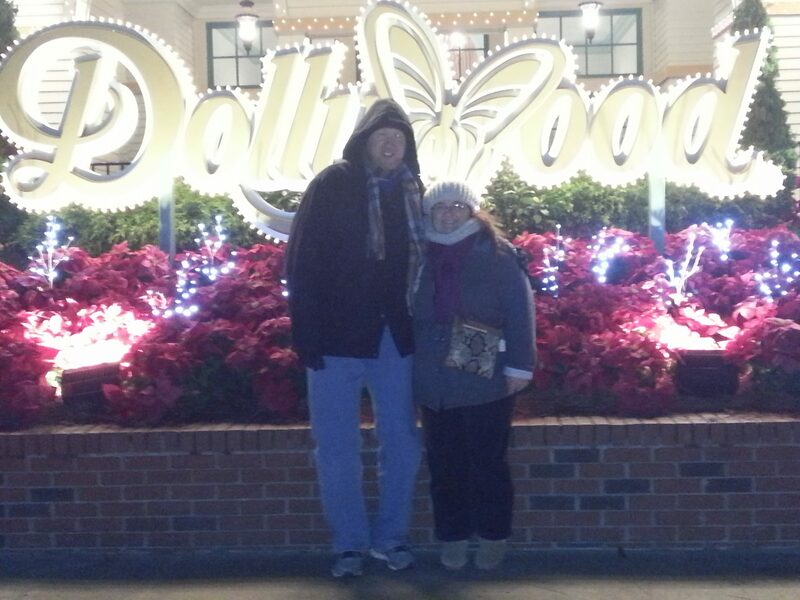 It was below freezing during our visit to Dollywood. It was sleeting with a snow mixture which made it marvelous and miserable at the same time. We laughed about how we will certainly look back on this visit to Dollywood some years from now. We loved every minute of it. Dollywood is a 150 acre theme park nestled amongst an abundance of mature trees providing shade in the summer and gorgeous colors in the fall. You will find Dollywood in Pigeon Forge Tennessee just a few miles from Gatlinburg. In fact you can catch a trolley from Gatlinburg to Dollywood. The park is named for it’s owner Dolly Parton who is from the Great Smoky mountains. Dollywood pays homage to the artisans and craftsmen associated with the Great Smoky Mountain region. One of the attractions in the theme park is the area known as Craftsman’s Valley. You will enjoy watching artisan’s as they make by hand item’s such as glass works, leather goods, wagons, candles and so much more. 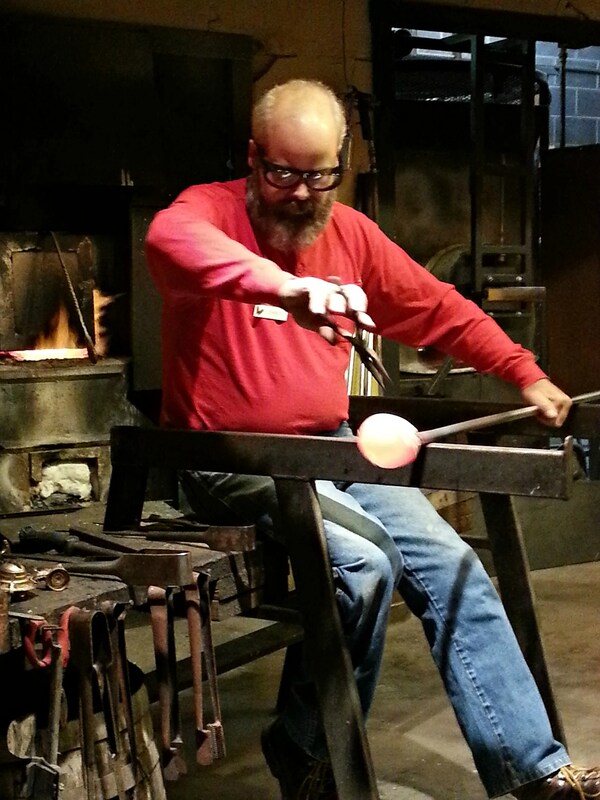 We stopped in to watch as the artisan in the picture below crafted a beautiful work of blown glass. He explained each step in the process as he was working. It was quite fascinating. Dollywood has lots of rides including America’s first wing coaster known as Wild Eagle. It stands a magnificent 21 stories tall. If you are a coaster enthusiast, you will not want to miss this experience. I prefer to watch from the ground. Enjoy a virtual experience with this video filmed with a GoPro. As I mentioned, it was really cold while we were at Dollywood. We dressed in layers and had scarves and ear wraps but my ear wrap was pinching the arm on my glasses so we stopped in Dolly’s Closet over in the Adventures In Imagination area. Let me just say that we were pleasantly surprised at the affordable prices! I got a beautiful crochet hat with matching scarf for only $12! (I’m wearing them in the last photo below) I then wore both scarves and put the head wrap in my purse. I am a sucker for Santa Claus! 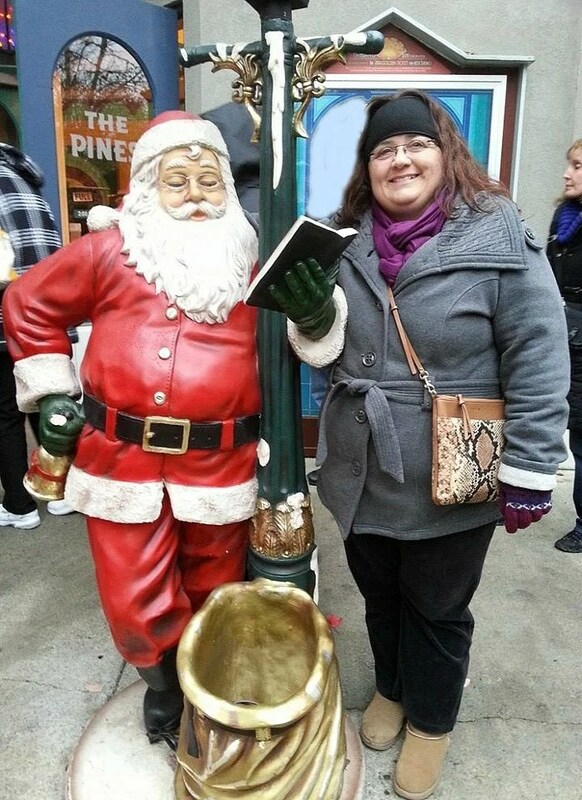 My sweet husband took my picture with Santa outside of the Pines Theatre where ‘Twas the Night Before Christmas was showing in true Dollywood style. There are as many as 9 shows going on at any given time during Christmas at Dollywood. We very much enjoyed Christmas in the Smokies at the Showstreet Palace Theater. The talented cast sang and danced with a beautiful Victorian Smoky mountain Christmas backdrop wearing period clothing. They brought a happy family Christmas celebration to life complete with snow! We left the Showstreet Palace theater and strolled through the streets of Dollywood. It really felt like we had stepped right into a Hallmark movie set. There is not a single bush or shrub which isn’t covered with Christmas lights. We kept stopping and looking around at just how beautiful everything was. The photo below is the Craft Shop with it’s grassy roof, all decked out with blue lights. Don’t you just love that stone wall along the pathway! Dollywood is not your typical theme park. 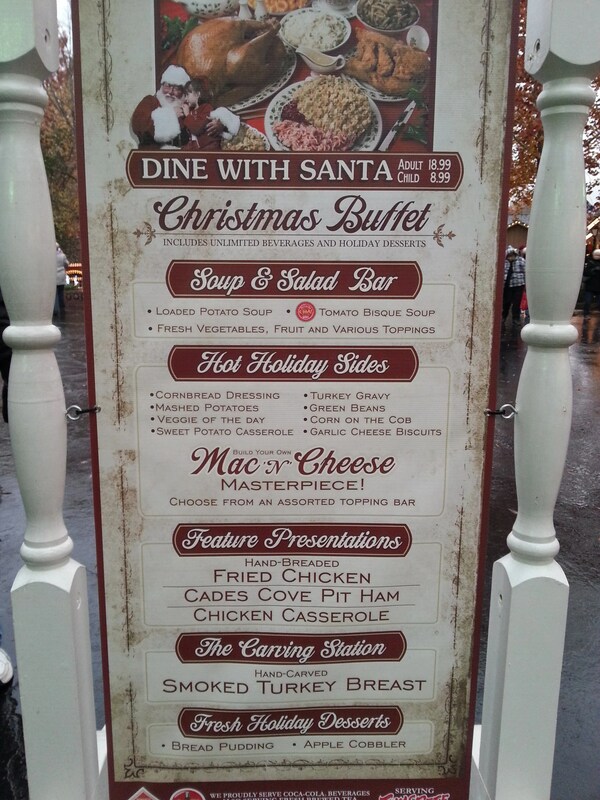 There are many choices for dining including dinner with Santa at the Backstage restaurant. The cinnamon rolls are quite popular around Dollywood. You can even get them to go. One of my personal favorite things to do at any theme park is to ride the train. I like it because it takes you behind the scenes. The train was completely full of passengers on this visit, most singing along with the Christmas carols as we journeyed through Dollywood. The engineer even made the whistle sing! On the way to the train depot you will pass Holly Jolly Junction where exclusively at Dollywood, you can meet Rudolph the Red-Nosed Reindeer and his friends, including Clarice, Bumble the Abominable Snow Monster and Yukon Cornelius. There is lots of fun and games at Holly Jolly Junction. It’s a great place to make some Christmas memories. The children will get to decorate Christmas cookies at Clarice’s kitchen too! 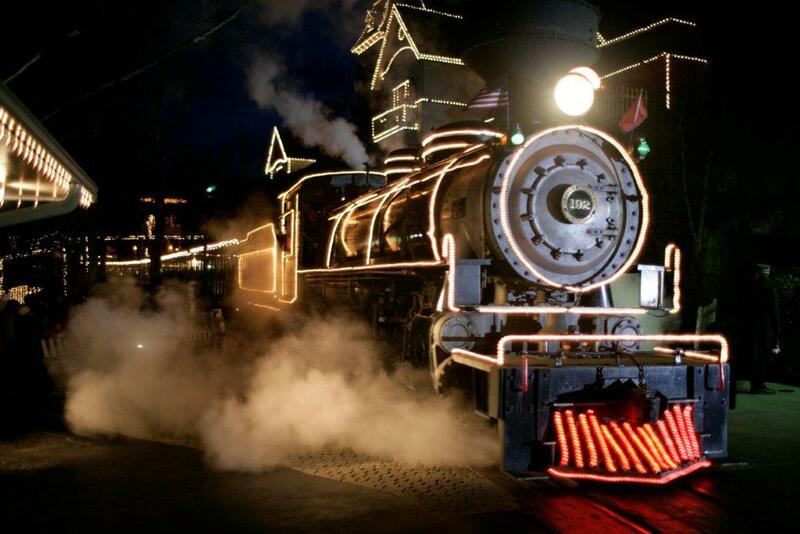 Since Rudolph is one of our favorite Christmas programs every year, we very much enjoyed Holly Jolly Junction! The Christmas parade is the perfect ending to a fantasy Christmas visit at Dollywood. 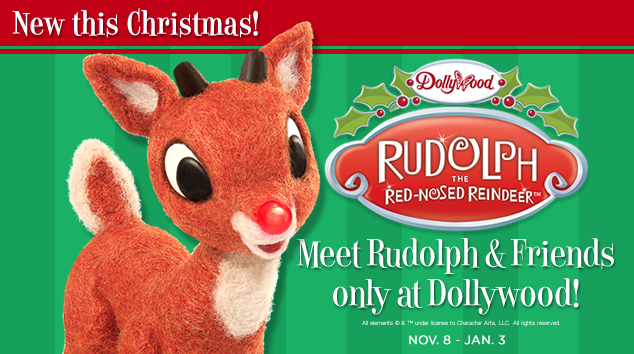 From now until January 2nd, if you arrive after 6pm, you will get the next day FREE at Dollywood! 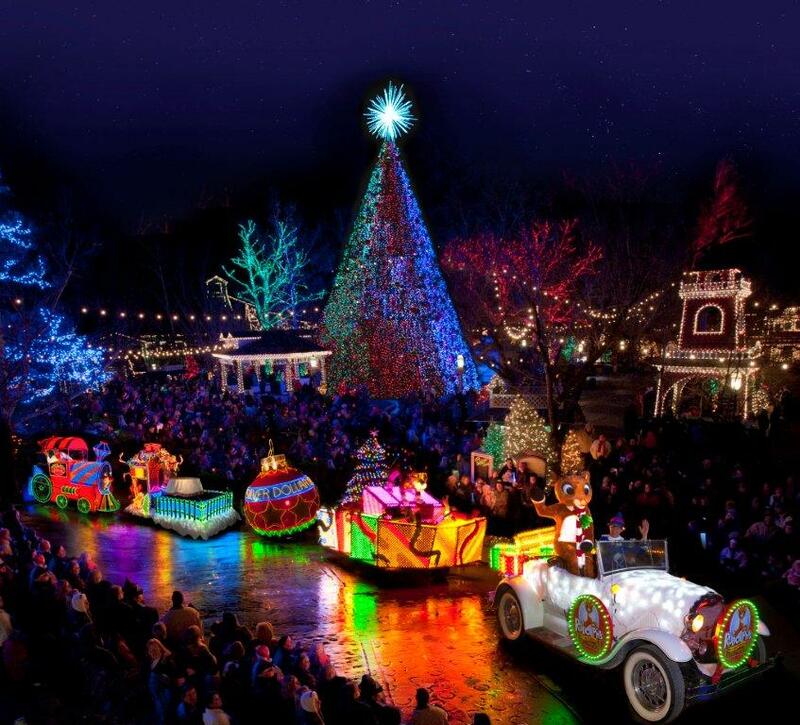 That’s a great reason to visit Dollywood for Christmas. A very nice lady was kind enough to take our photo as we were about to leave. Don’t we look cold! This was our first time visiting Dollywood at Christmas but it won’t be our last. We didn’t even mind the freezing temperatures while we strolled through the winter wonderland on the Christmas streets of Dollywood. We stayed in a cabin while on this visit to Pigeon Forge but I want to share with you that Dollywood has a new hotel opening in the summer of 2015, Dream More Resort. You can register to become a member of the founders club for exclusive offers here. Start planning your visit now! A special thanks to Dollywood for providing the most beautiful photos (lake view, train and parade) in this post. we have season passes to Dollywood. There are other roller coasters there also. The Fire Chaser was new for 2014 and it’s more of a family coaster. My son loves it. We live 90 minutes from Pigeon Forge so we go here pretty regularly. So glad you enjoyed your time here. If we lived closer to Dollywood, we may have season passes too! They offer great deals on Season passes for folks who live in the area! They have so much more to offer at Dollywood than it is possible to include in a tiny little blog post, don’t they! We just love it. I’d like to always go during their Christmas celebration because the park is so magical! How cool! I’ve always wanted to go and never been! Looks like a fascinating place to visit! I am like you, prefer to watch the coasters from the ground. You and the hubs look so cozy in the wintery clothes you are wearing. Lovely photos!!! Dollywood sounds like so much fun! I’ve always wanted to go. Maybe we will be able to make it sooner or later. Looks like you all had a great time. What a great trip to take. Thanks for stopping by Katherine. We did have a wonderful time. We are already talking about going at the same time next year. I have always wanted to visit here! Thanks for the review! Thanks for stopping by Lauren. Hope you get to make a trip to Dollywood soon. I’m not really an amusement park person, but this one may be the exception. It looks really beautiful! It looks like it would be magical at Christmas, especially for kids. We LOVE Dollywood! It’s so beautiful this time of the year. Isn’t it just beyond beautiful though! I’m ready to go back! Beautiful pictures, but you look cold! I always say -20 and sunshine feels better then around freezing and wet. You would be so right about that freezing and wet thing Anna. We were cold. We just laughed at ourselves so much but we had fun. I wouldn’t take anything for the memory and the fun. Those Christmas lights are amazing and such a joy to walk through. I haven’t been there in years – this post makes me want to go back!!! Kristen, you need to make it happen! Paris, start making plans now to go during their Christmas celebration. You won’t regret it! Isn’t it unbelievably beautiful! I’ve been wanting to go there for quite some time. I think I’ll definitely make it happen in 2015. Beautiful pictures!!! Thank you Cece. It was so much fun. We almost forgot how cold it was 🙂 I’d love to read about your visit when you go! Hubby and I just went to Pigeon Forge about a month ago and I loved it!!!!!! That was the first time for me and we were going to Dollywood, but just couldn’t find the time. Now after seeing your post, next time we go, we will have to make sure we stop by. Great pictures. Thanks Tammy. We enjoyed our visit to Pigeon Forge in November as well. There is a multitude of things to do there which makes it hard to choose! We had not been to Dollywood in many years so we were pleasantly surprised by our visit. I hope you get to go next year for their Christmas celebration. Looks like so much fun! Amusement parks are always fun at Christmas time! And I bet the snow flakes made it feel like Christmas even more. 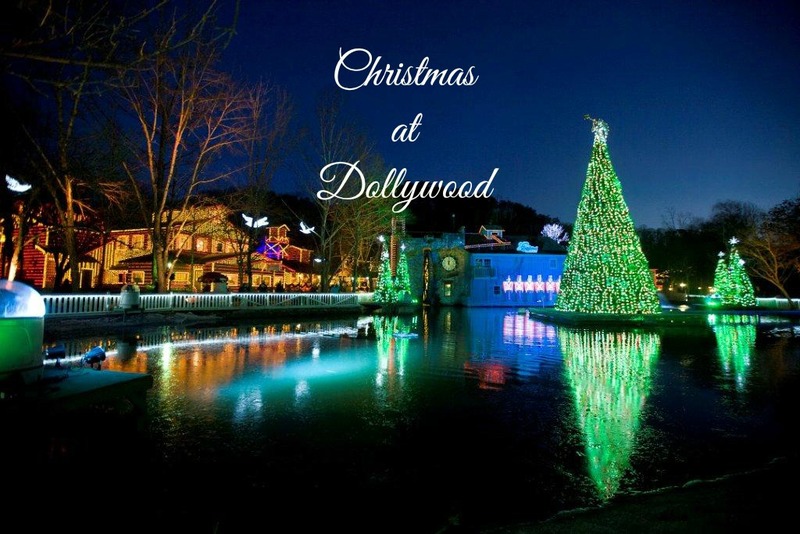 I haven’t been to Dollywood during the holiday season, but now I want to go! Thank you Alli. Those snowflakes were so much fun. You know how we are from the deep south, snow is a novelty for us! 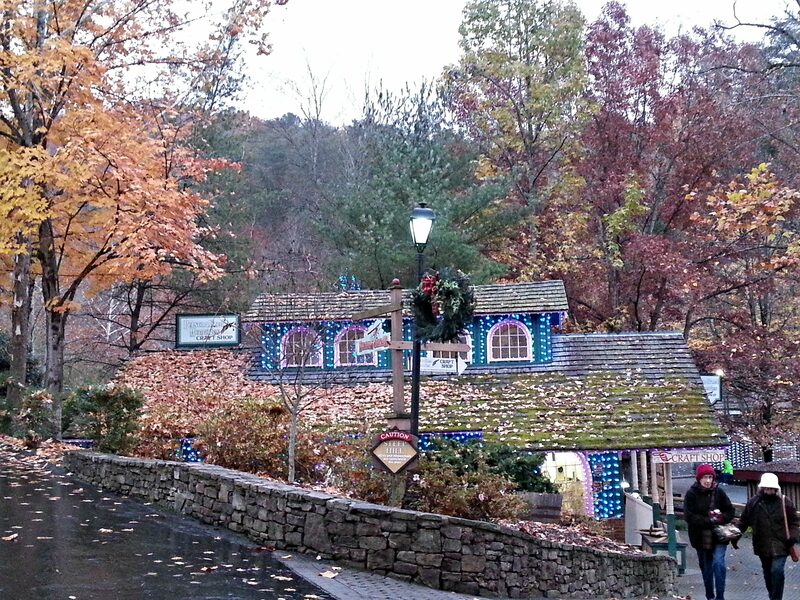 We had so much fun at Dollywood walking amongst the gorgeous lights and decorations. We want to do it again next year!